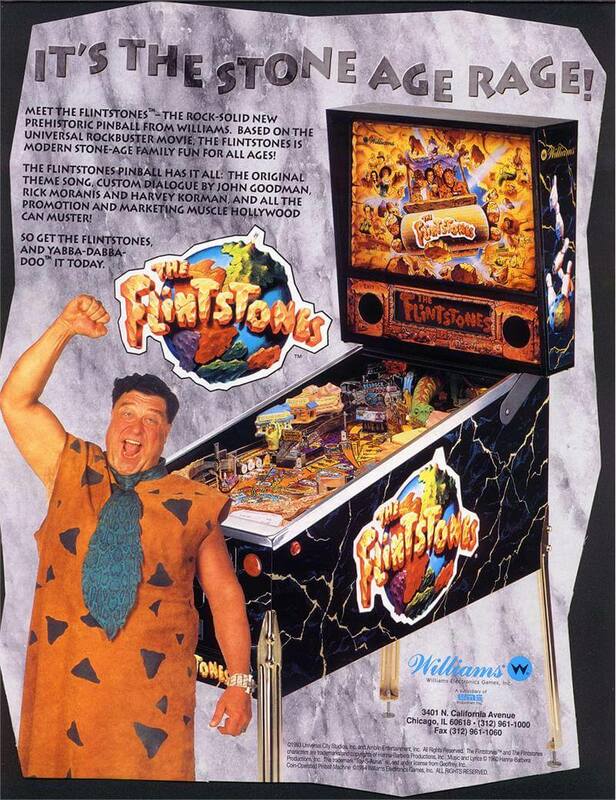 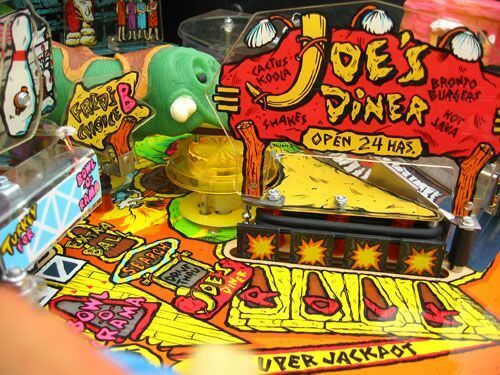 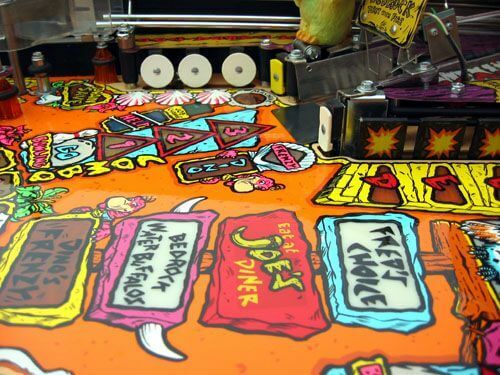 Flintstones pinball machine was based on The Flintstones film. 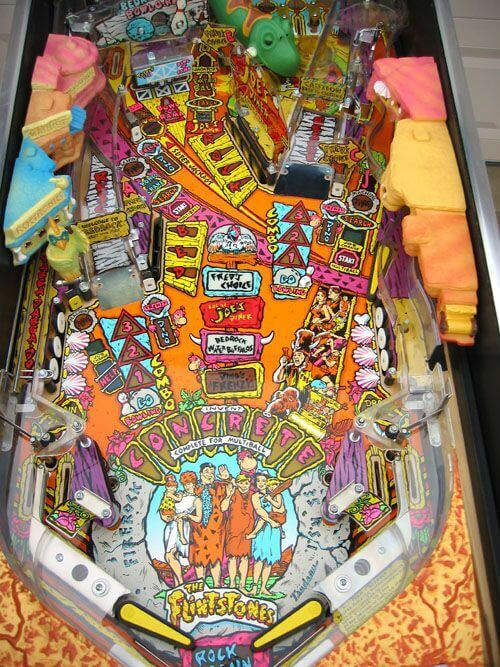 This game also featured speech provided by John Goodman, Rick Moranis and Harvey Korman reprising their respective roles, as well the theme song from the TV series. 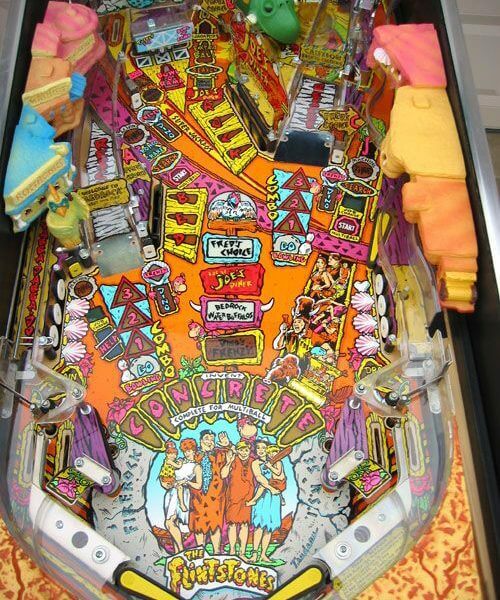 This game had a unique feature called smart ramps, this allowed the game to decide which flipper to feed the ball two through a plastic loop at the bottom. 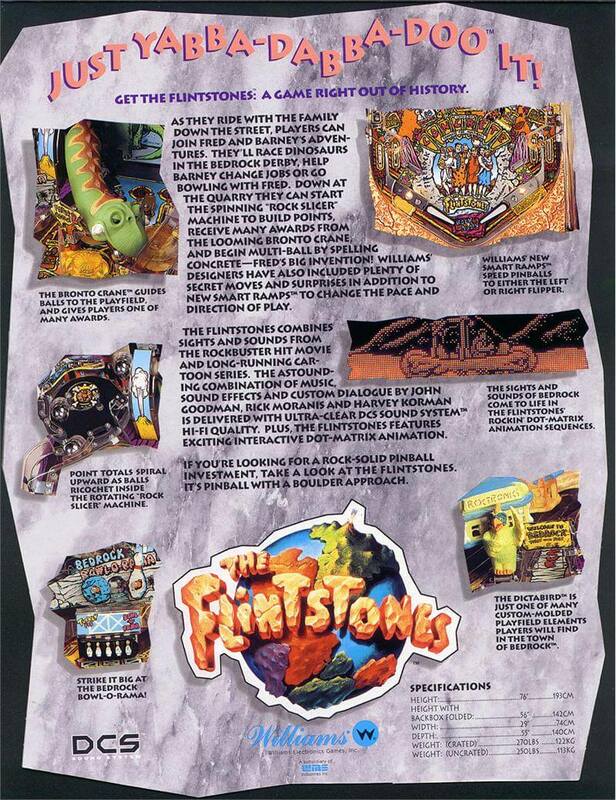 Once all the modes are completed, the Start Mode light will indicate Mystery Mode, a wizard mode where you have 20 seconds to knock down the BED and ROCK drop targets for 100 million points. 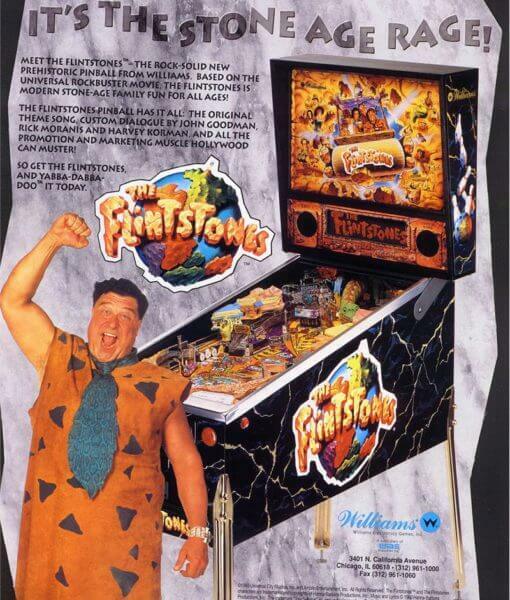 Each target down scores 5 million. 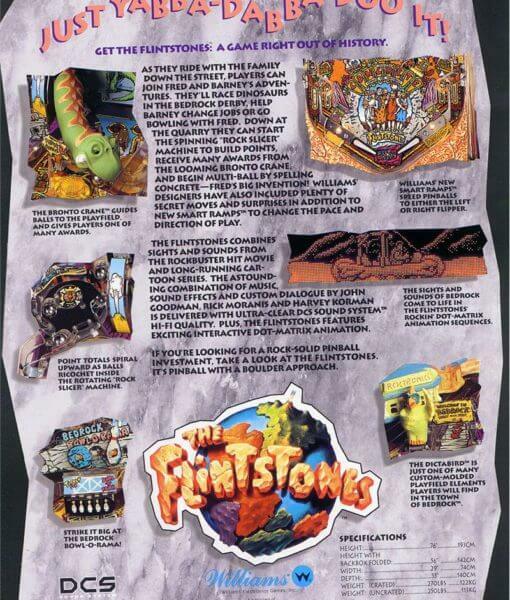 The mode ends after 20 seconds, or when the big points are awarded, and Fred’s Choice will become the currently flashing mode. 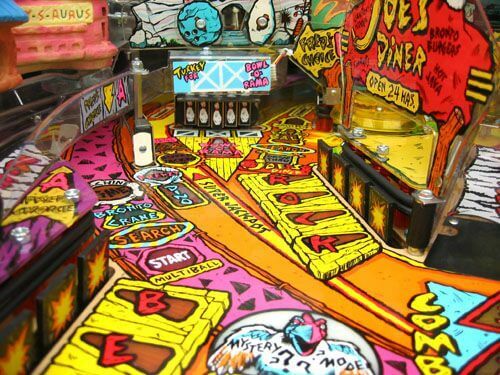 Flippers (3), Automatic plunger. 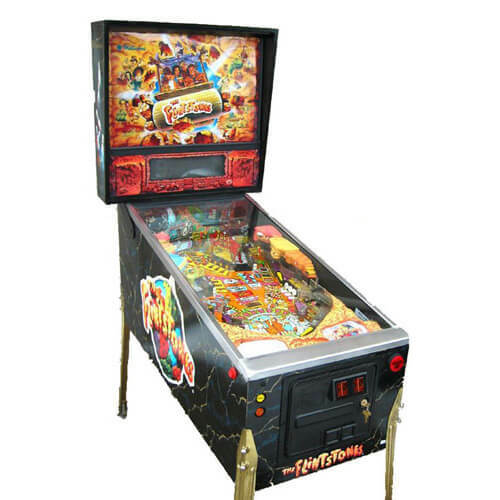 Three multiball modes (Regular 3-ball multiball, Dino’s Frenzy 2-ball multiball, and Bowl-o-Rama 3-ball multiball). 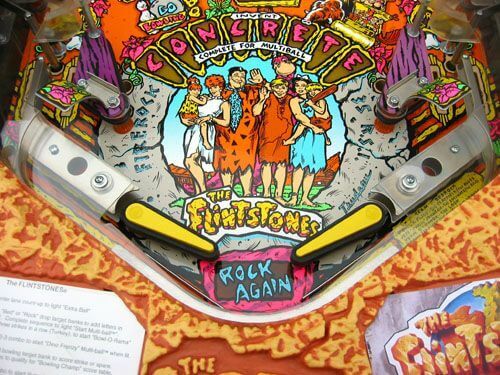 Also features a Bowling alley, Rock slicer, and Bronto crane.